PLDT HOME Telpad, the world’s first and only landline, tablet and broadband in one, together with the country’s biggest pay TV provider Cignal Digital TV has recently introduced its newest feature, Kid’s TV, which enables children to stream the top five entertainment and learning channels for kids namely Cartoon Network, Nickelodeon, Nat Geo, Nat Geo Wild and Da Vinci Learning. Upon trying the feature with my kids, I can clearly say that the 99 pesos additional payment in my monthly bill was worth it. My kids really enjoyed watching the channels using the Telpad Not only did they love it but they also learned a few things and tricks along the way because of the interesting and educational shows that comes with these wonderful channels. Any good parent is advised to filter what their children is watching to ensure that their innocence stays intact and at point. 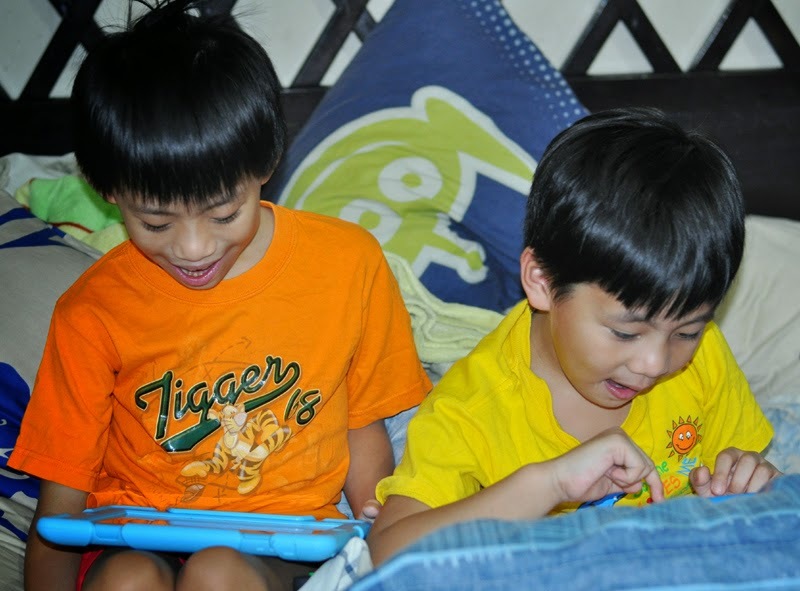 You can do that with the PLDT HOME Telpad because it only shows certified kid-friendly content and is 100% safe. In addition to that, one problem has also been lifted off my shoulder, which is the argument of what channel we are going to tune in. I can now freely watch any channel my heart desires without my children nagging me to change the channel to Disney channel because Phineas and Ferb is up all thanks to this feature because now they can watch their cartoons on our Telpad . With all that said, I truly recommend on trying Kid’s TV simply because it’s great, trusted and affordable! Samin din, mahina ang PLDT signal. :/ The Telpad promo pa naman is such a steal. We're using smart or globe in our house. :) Your boys is so cute.